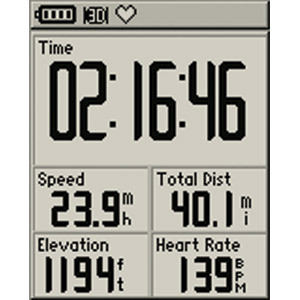 After a lot of to’ing and fro’ing on the subject of gps for the bike and debating the pro’s and cons between iPhone apps and a dedicated unit like the Garmin Edge series …. I have finally made a decision. 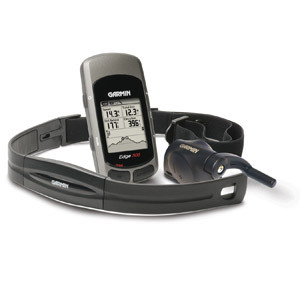 Prompted mainly by the fact that I could get a Garmin Edge 305 incl HRM belt and cadence meter for £129. It’s older has no colour screen and can’t take maps but none of that is important for what I want it for. I know I cant play music – well I never have so I don’t think that is something to worry about. 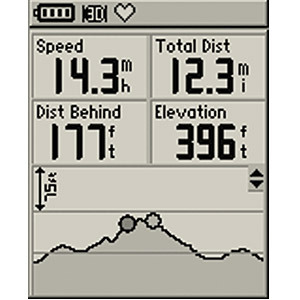 I know the iphone is not a dedicated gps unit and won’t replace something like the Garmin Edge …. but i have one and apps are relatively cheap ince you have the phone. But so far I have to find one that I actually love. This looks promising although I haven’t tried it yet. This is the speedometer function. 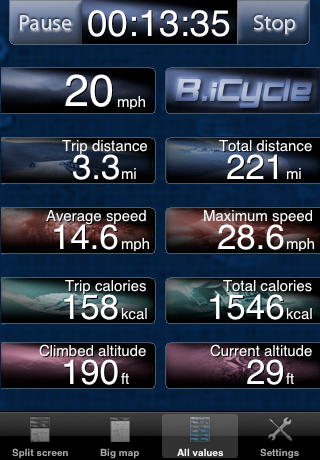 Current speed, maximum speed, average speed, travel distance, travel time, altitude, and calorie information are displayed. You can save your riding progress using the save button. Current location and travel path are shown using Google Maps. You can read the saved route and photos using ‘Load’ function, and you can ride along the loaded route. When you take a photograph, the location where the photograph is taken is displayed. e information organized on daily bases. You can check total distance, total riding time, and total consumed calories for all previous rides (only with the saved route data) to get an idea about the amount of total exercise. You can take photographs with an iPhone camera, and the location where the photo is taken is saved with the photo image so that they can be checked against the photographs from the route data. You can check/delete/edit the riding paths and photographs, and you can send them by email and MashUp. You can modify the functions related to BikeMateGPS to your preference. That’s Walking, Hiking, Running, Cycling, Biking, Sailing, Skiing, Flying, Racing, Geocaching. – review and share your paths. Create colour-coded paths according to speed so you’ll know how fast you were going at any point along your track. Create animating Google Earth files so you can watch your journey unfold in Google Earth and know exactly where you were as time progressed. 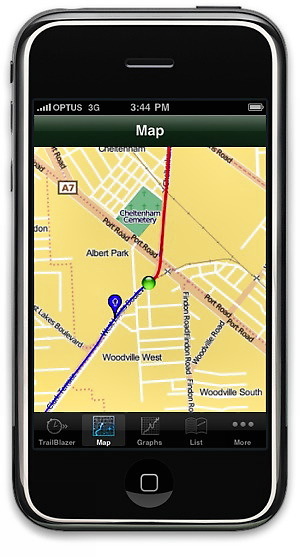 You can wirelessly download your track information from your iPhone directly to your Mac or PC using just a web browser! Having a bicycle computer is one of the most fun (And geeky!) gadgets you can have on a bike. This one is similar but larger than a standard bike computer. None the less, this is a great little free app to have and I recommend it to all cyclists as long as you don’t want altitude and HRM functions. GPSies is the most easy to use iPhone Application that allows you to geo track your sports and leisure activities. Recorded tracks can be stored locally for later reference or uploaded to GPSies.com with one tap. GPSies.com is the leading platform and community for GPS recorded tracks and is used by thousands of outdoor enthusiasts around the world. Record tracks. Pause and resume any time. 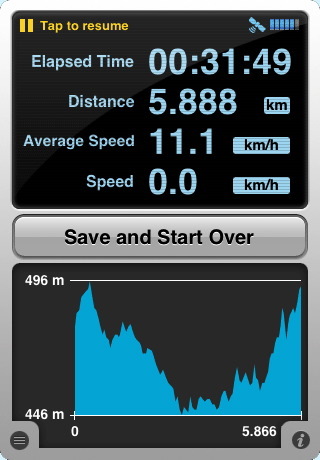 View elapsed time, current and average speed and pace. View covered path and altitude profile. Export to all major formats and applications through GPSies.com. Store tracks in the iPhone for later reference. US and metric system support. Recording interval adjustable to suit activity type. Pocket mode for optimized battery life. Edit tracks with map on GPSies.com. More of a cross sport web based app – for trails and paths. (blurb) Use your iPhone 3G to do more than just listen to music while you run, bike, or hike. 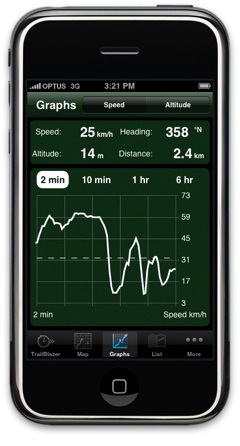 Download Trailguru and capture your outdoor activities using the iPhone 3G’s integrated GPS. I have not tried this as spending £6 to try something out that could be a bit pants is a lot …. 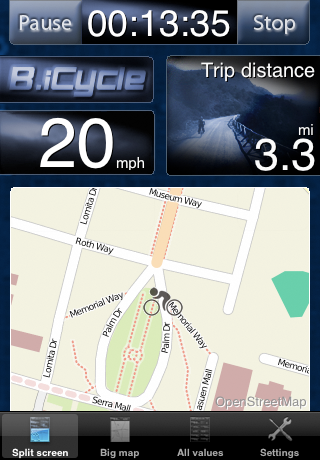 their blurb promises a lot …..
B.iCycle is a next generation cyclometer for your iPhone! It provides all the information you need on the bike. Our stylish user interface combined with maximum ease of use create a new experience on the bike. Based on countless test drives and refinement we calculate all values with maximum precision of the built in GPS. In contrast to standard cyclometers you do not have to calibrate B.iCycle to your bike. It just works – out of the box. For the full experience we recommend to use a bike mount. “Bicycle Mount Pedestal with Swivel-head” from semsons.com provides solid mounting as well as fair pricing. A MAP! Including bike trails! Even offroad you will not get lost while biking: Somebody from the huge OpenStreetMap community has already been there and mapped the trail for you! A community of more than 70.000 people is constantly mapping bike trails around the globe! iphone app or garmin/suunto gps for running. if you’re thinking about starting to use a GPS to track your runs you’ve probably heard about Garmin’s wrist-watch type GPS units like my 405, Suunto’s T6C and some of the new iPhone applications. Both options are great, but there are some things you should consider before you spend your money. looking at your wrist is a lot easier than using your iphone esp if you are mainly checking pace and heart rate. iPhone applications need to conserve battery life and also need to make sure that being in a pocket doesn’t cause accidental keystroke input – a sweaty leg works like a finger as well. So most apps dim the display and lock the input. 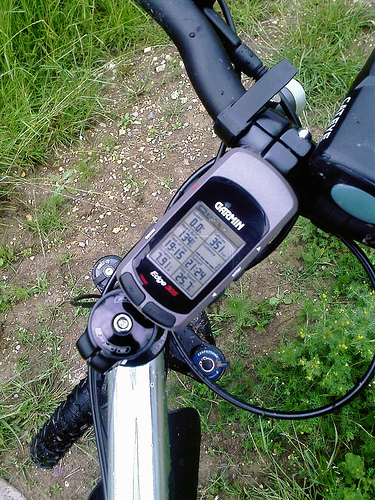 A Garmin GPS won’t dim the display or lock the input. The wristwatch format is much better for use while running. 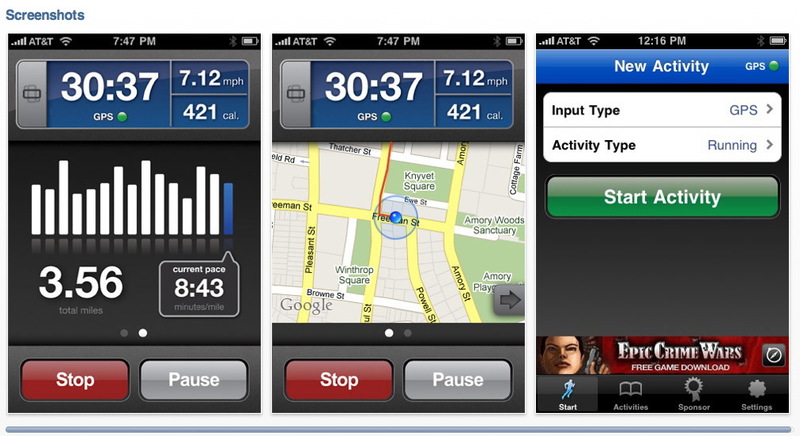 I haven’t seen any iPhone apps that allow you to create pre-defined workouts to guide your runs. I generally don’t use mine on the 405 but you can …. 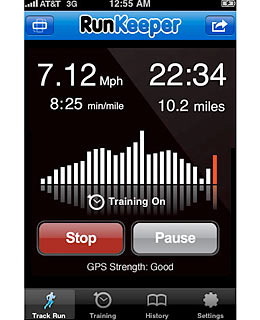 The iPhone apps work with web-based training log applications. 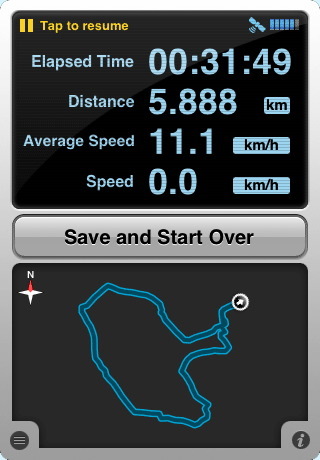 Map my Run has some nice features and their iPhone application works very well. 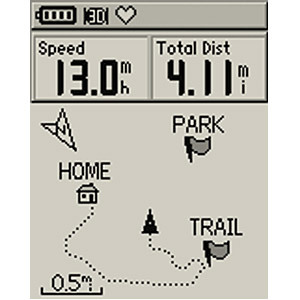 Garmin GPS devices come with Garmin Training Center and also work with motionbased, garmin connect, and many of the web-based applications. NOTE – I have since got into more robust HRM analysis and sold the 405 to a pal and bought a Suunto T6C …. the best of both worlds. 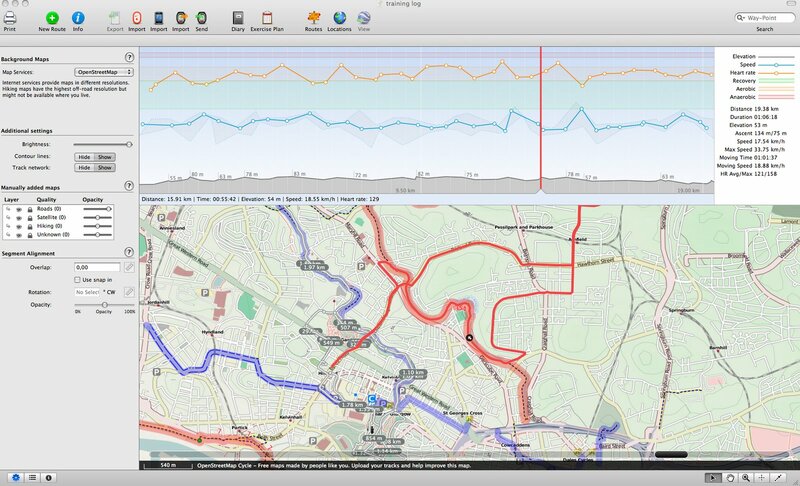 Compatible with mac, good HRM software like Polar and a gps like the Garmin …. BUT TELL ME WHAT YOU THINK?????? Author richdirectorPosted on February 17, 2010 August 25, 2011 Categories Equipment & Reviews, Fitness, mountain bike, RunningTags application, apps, garmin, garmin 405, Garmin Forerunner, Global Positioning System, gps, heart rate monitor, HRM, iphone, motionx, mountain bike, mtb, Running, Smartphone, suunto, T6C, training, watch1 Comment on iphone app or garmin/suunto gps for running. Got a Garmin 405 to replace older forerunner 205 gps and polar 625x Heart Rate monitor. Nice thing is being able to view training info on mac …. polar is crap on macs unless running windows or alt software. Still evaluating it but will buy it for sure I think – excellent freeware – CHECK IT OUT. To boldly go where you haven’t been gone beforeAlthough the TrailRunner is perfectly suitable for runners, bikers, inline-skaters and hikers, let’s focus on how this piece of software could totally change a runners habits. 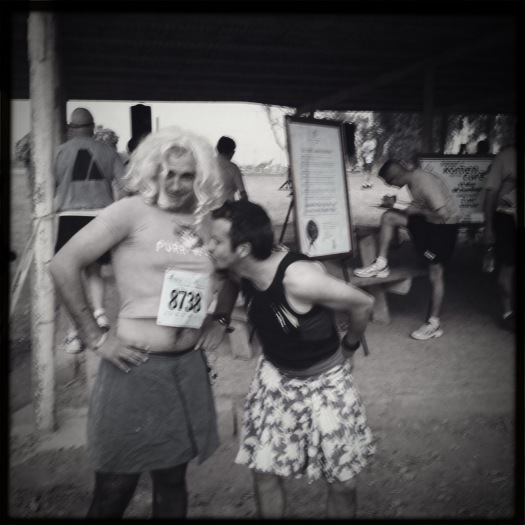 There might be several motivations you start running. Just to get fresh air several times a week, to loose weight or to exercise as a semi professional for races and honor. Either motivation needs goals you define in a training plan and methods to check up your progress, like measuring your burned calories and weight loss, your improved heart-rate, your speed and ranking in a competition or just being able to master a marathon in a given time. To achive this, most people have like three standard routes they run over and over. Depending on your ambitions they might have distances like 10 kilometers, 13 and 20. It seems like the only goal you have is to accomplish your “training duty” — and the hardest part of it is to stand up, put your shoes on and just leave the house. But then what is the motivation all about? For that reason many people like to make appointments with workout-partners, run in groups or feel happy to watch (mostly pointless) statistics. But what, if you have the genes of an explorer and adventurer? Then your dream might be to spontaneously run say 16 kilometers in a well known and hand-picked collection of endless routes you could choose from. This is where the TrailRunner could meet you and your motivation, with the potential to totally change your habits with one simple addition: You look forward to run the route you have affectionately crafted for this sunday morning: Imagine you take your car, drive into the woods, run through the small valley with the dabbling stream, head up the hill, enjoy the brilliant view, speed down your favorite single trail, cross the big water meadow and return to the parking place. This all with one important background: Your training plan decided on you that you have to run 16 kilometers today. And you did. So how will one get to the point where choosing a route is like to click your fingers? It starts with the three standard routes you already know. As soon as you have inserted them in into the TrailRunner you will start exploring: While you’re running, you notice this small very nice looking alleyway on the right, that you where always wondering about where this might lead to. You just add it to your TrailRunner map and next time you insert this piece of track into your route. That must not add any kilometers, as you could choose a shortcut somewhere else instead. After a while you will notice that you start adding more and more loops and long ways round that will give you an endless choice of nice alternatives. Standard routes with tentacle-like alternatives means that extending and expanding an existing route is very easy. You just take an old route and tell the TrailRunner to adjust this route to a variation that is almost the same but 2 kilometers longer. The finer your weaved web of tracks is the better this will work.